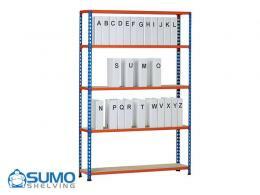 The Workplace Depot Sumo free standing shelving units are easily one of the most superior products on the web. European-made and tested for stability and strength, this product follows FEM recommendation 10.2.06. Ideal for lever arch files (305mm deep) or archive storage boxes (455mm deep), arrange and optimize the space in your basement, store room, or workshop. You will no longer need to concern yourself with disorderly rooms. Where Can these Shelving Units be Used? 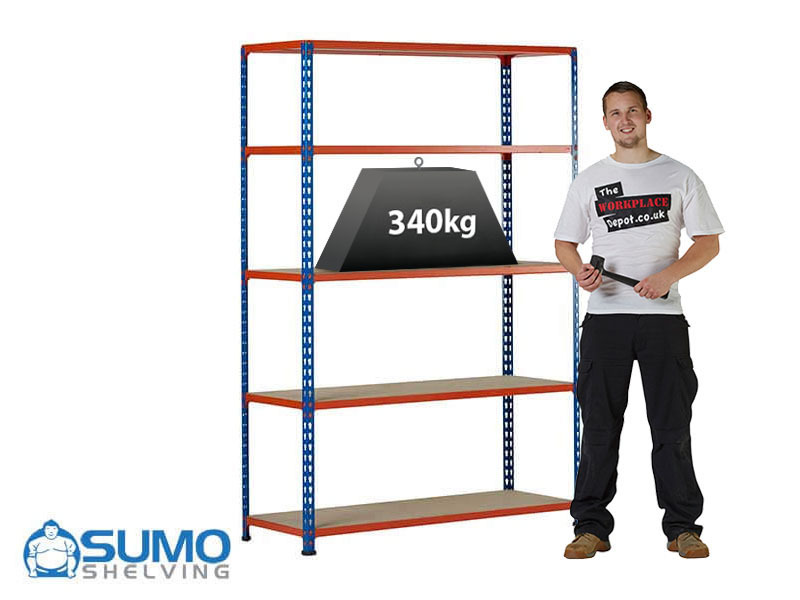 The free standing economy shelving units are perfect for garage shelving, general storage, workshops, and store rooms. Ideal for the office or at home, you’ll find a multitude of uses for this product. Easily keep your old books, binders, file boxes, and papers organised. Why sacrifice style for convenience? The blue and orange powder coating offers both a sleek look and prevents corrosion. Place the shelving units in your attic, or utilise them in your office store room. 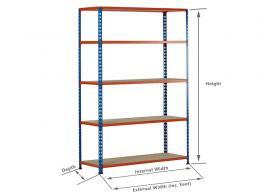 Who Might Use this Metal Shelving Unit? Do you need to clear some clutter? Maybe you want to optimise the space you already have or update those old plastic stands. This resilient product is ideal for you. Individuals will be thrilled with this product, while businesses and employees will find these shelving units incredible for simple storage solutions. The Workplace Depot is here to be sure you never again need to struggle through a jumbled mess of papers and file. 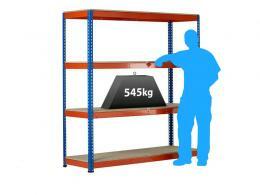 These storage racks are available in four budget-conscious sizes with platforms capable of supporting up to 340kg of uniformly distributed loads. Each platform is made with 2mm thick steel beams, making for a highly durable product. Protective plastic feet will keep your floors safe while you’ll only need a mallet for the boltless assembly. This selection is 1830mm tall and comes with 5 adjustable shelves. Customise them to your needs by moving them in 38.1mm increments. For added shelves or accessories, browse through our webpage. You’re sure to discover exactly what you require. With an easy return policy, The Workplace Depot strives to provide excellent customer service. We are also proud to offer the promise to match any price you discover on different websites for the same products. For extra value on your purchase, we provide a 1 year parts and labor warranty. As an added bonus, check into our free next day delivery service. Our competitive prices and high-quality merchandise are designed suit whatever you require.